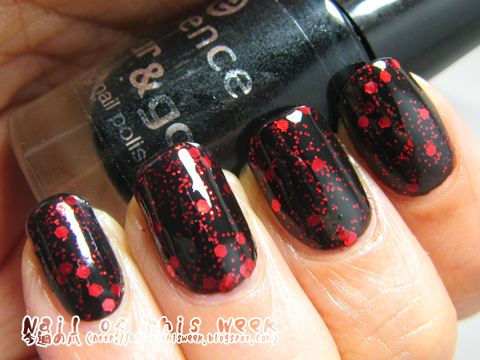 #069: Black ‘n’ Red (never disappoints me) : Nail of This Week. Again this is from Diana@Nails by Diana. I’ve got so many from her and I really need to try all of them, that’s why most of materials I’m using for these day’s mani are from her!! 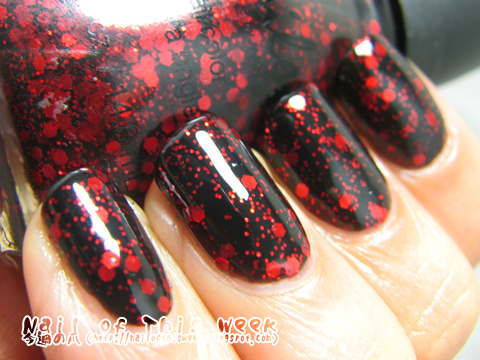 :D Anyway, this is one of my first Spoiled polish, which totally caught my eyes when I’ve heard about it from Diana. This is a perfect manicure. 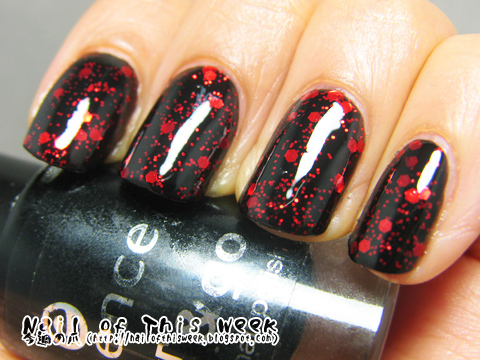 I love black and red together. I really love such a combi! Holy moly, this is absolutely amazing! Great pics!! 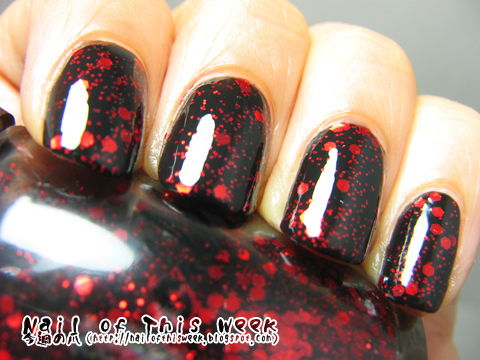 Wow, I should just give it up and buy me one of those red/black polishes!!! This is stunning!! OHMG this is amazing - love it!! !